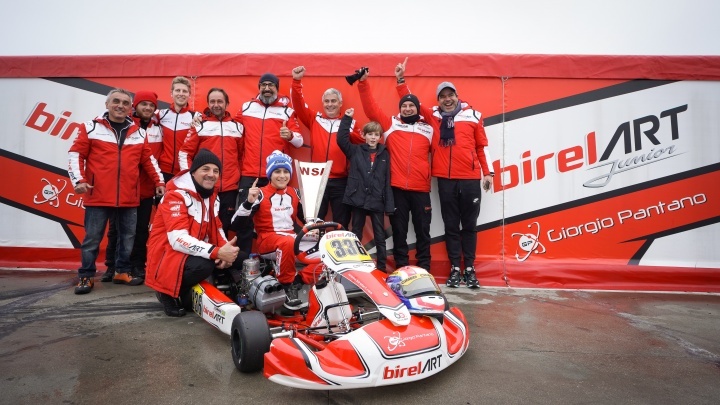 The resumption of racing was not easy for the drivers from the Birel ART Racing Team during the first meeting of the WSK Super Master Series at the Adria Karting Raceway. As demonstrated by the great victory from Rafael Camara in OK-Junior, the team worked well during the winter and the equipment is already very competitive. This very positive result has been confirmed by the final comeback of Luigi Coluccio finishing in the top 10 of the OK category.